Anne Frank wrote her diary when she was just 13. Read how she describes the discomfort and pain of being a Jew in World War 2 and living in the Secret Annexe. The diary started because Anna was given a red and white checked diary as a birthday present by her parents. Anna had always been interested and inspired by writing and one day hoped to be an author. She kept the diary strictly to herself and it became a good interest to her. However, she did not know what was about to happen. Anna was a Jew living in The Netherlands, and over in Germany, Hitler was not happy about differences between him and everyone else. He wanted everyone to be the same so he declared war on England. Anna’s family were worried about what would happen to them as they were Jews, so they went into hiding in a warehouse in Amsterdam. There were seven people who worked in the warehouse; however, two did not know anything about Anna and her family. The Van Daan family were also living with the Frank family. First, Anna did not get along very well with Peter Van Daan but after a while they became very good friends. Anna was given a secret supply of food from the grocer but, sadly, half way through the diary, he got reported and was taken away to a concentration camp. After two years of hiding, the Franks and the Van Daans were found and taken to a concentration camp in Germany and killed. Anna’s father was the only one who survived – and he was given Anna’s diary. 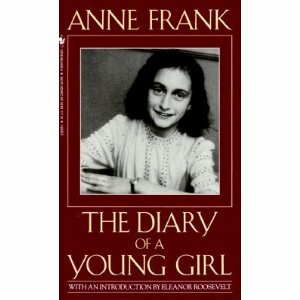 Her diary is still today one of the most amazing things to emerge from World War 2. I would give the book five stars because it is an amazing book and ten out of ten. I really enjoyed the book because it describes a lot and is very famous now. And it is possible to visit Anna’s house today as I did it myself. Rugby success for Bethany and her team!